I did not make this trip alone; the people with whom I traveled were hugely important to my experience, including the gains in my knowledge and understanding. They each brought something different to the table, asked important questions and made significant insights. And on a personal level, we bonded quickly, sharing stories and laughs, forming real friendships. Thus, I could not continue writing without introducing the other five students who were fellows on the 2012 Ibrahim Leadership and Dialogue Project in the Middle East. 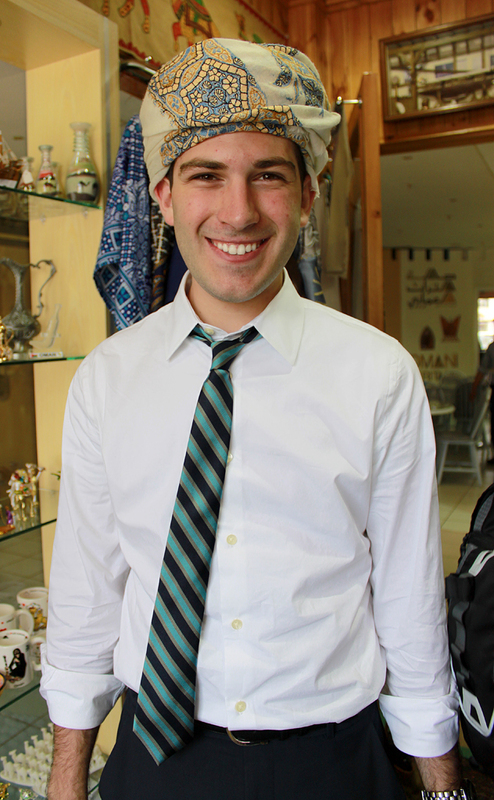 Jacob Gutman (University of Pennsylvania ’14): Jake (#2) is a rising junior who is studying politics, learning Hebrew and set to learn Arabic this fall. 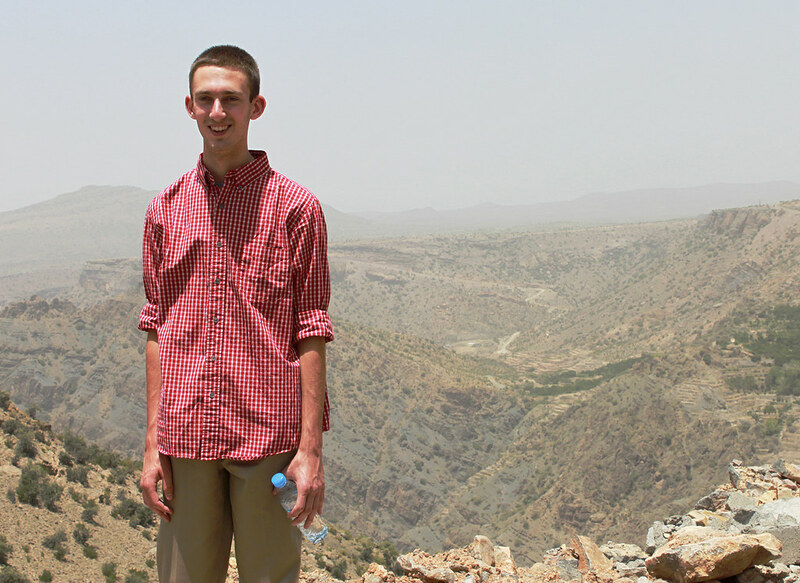 He’s traveled the world quite extensively and done a lot of cool things, yet this was actually his first time in the Middle East. 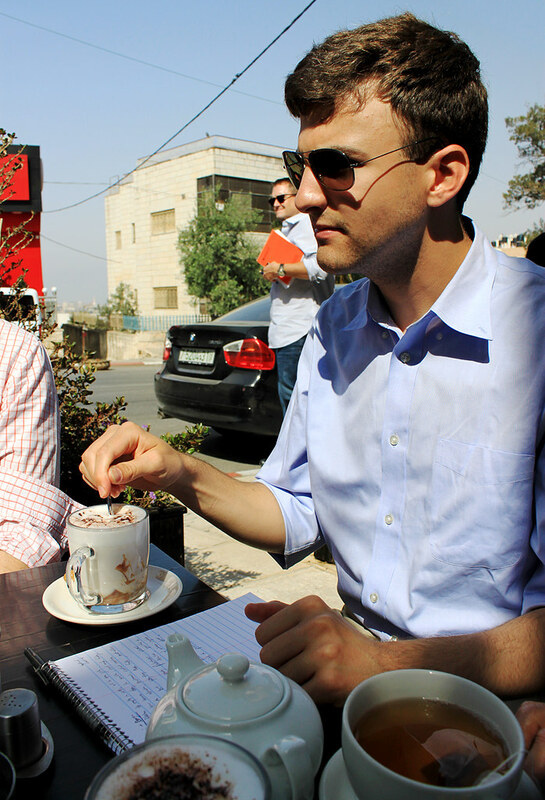 He’s Jewish, but had never been to Israel before this trip—for a few different reasons. He’s on the exec board of J Street U at his school, has paid close attention to the conflict for some time, and is very knowledgeable and opinionated on the subject. Also, he always asked good questions of the various people we met abroad (I point it out because it’s worth noting). 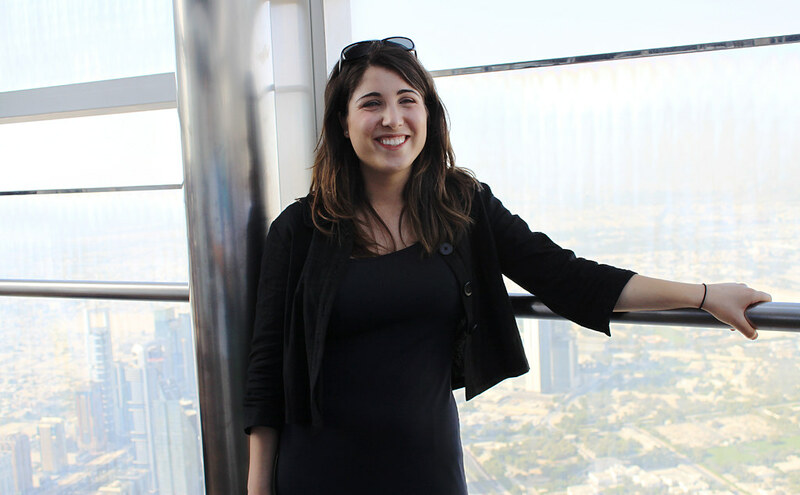 Sundus Nada (Johns Hopkins University ’12): Sundus will graduate from Hopkins this year with a degree in Psychology, with her interest being in clinical and child psychology, and History, with a focus on Islamic history. 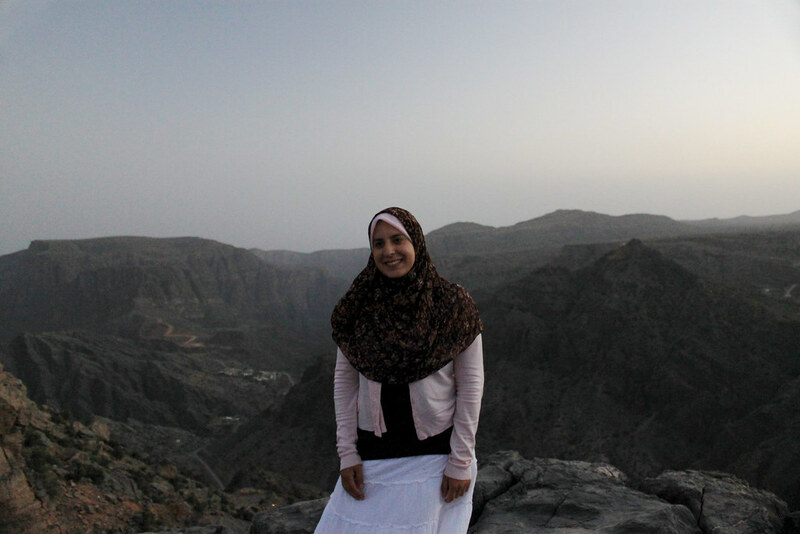 Sundus is a devout Muslim, who chose to attend hifdh school to memorize the Qur’an and was thus homeschooled for high school; she was also actively involved in my school’s Muslim Association. She comes from an Egyptian family and has traveled to Egypt and Saudi Arabia before. Before this trip she had always dreamed of praying at the Al-Aqsa Mosque in the Old City of Jerusalem—and she got to do so twice during our time there (I’m pretty jealous). Her specific background definitely brought a unique and valuable perspective to our group. 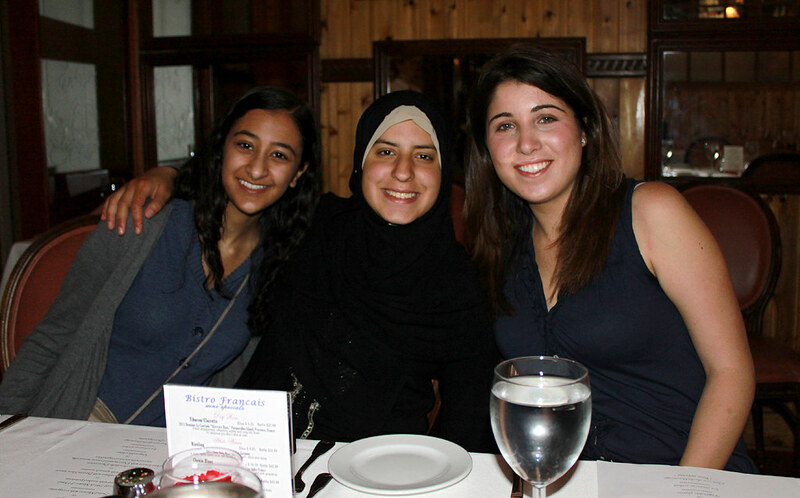 And then there’s me—the second Muslim in our group of two Muslims, two Christians, and two Jews. I have a blurb on the IIE page as well, which I will expand upon in the posts to follow. Me, Sundus and Talene at Bistro Français in D.C. right before our departure. When we entered the airport on Sunday night, it was quite empty. There were a few Omani men, identifiable by their traditional garb, as well as some Westerners, but the vast majority of the other arrivals were South Asians—especially in the line for extended visas (Gulf countries have a reputation for bringing in tons of migrant workers, particularly from Asia). The first woman I saw was one Omani working the currency exchange counter, and her hair was loosely half-covered by a colorful scarf. Oman actually has no laws dictating female dress, but Omanis tend to be religious, so most women cover their heads, and many wear abayas—but it’s not a requirement, and foreigners generally dress modestly out of respect for cultural norms. We left the terminal area to meet Maggie Jeans, our liaison (I don’t know what else to call it; she did the kind service of accompanying us during our time in the country, showing us around, and introducing us to various people) for the trip, a British expat who has lived with her husband in Oman for over 20 years now. There were far more people in this part of the airport, and again, countless South Asians—and there weren’t many women there either, except for some South Asian women and their families. It was kind of strange, because I expected to arrive in the country and see more Omani nationals, but it reflected the reality that is the influx of Asian migrants working in the region. When we left the airport, we were enveloped by warm, humid air unlike anything I’ve ever felt before. There’s the high temperatures in the Gulf, yes, but the humidity where we stayed in Oman was almost always at or around 100%, and whenever I’d walk outside, my glasses would immediately fog up. I salute those who live here or have moved here and can endure it. This random rant might seem pretty pointless, but the weather was a pretty pervasive experience, and if you ever plan on traveling to the area, you need to plan for it. 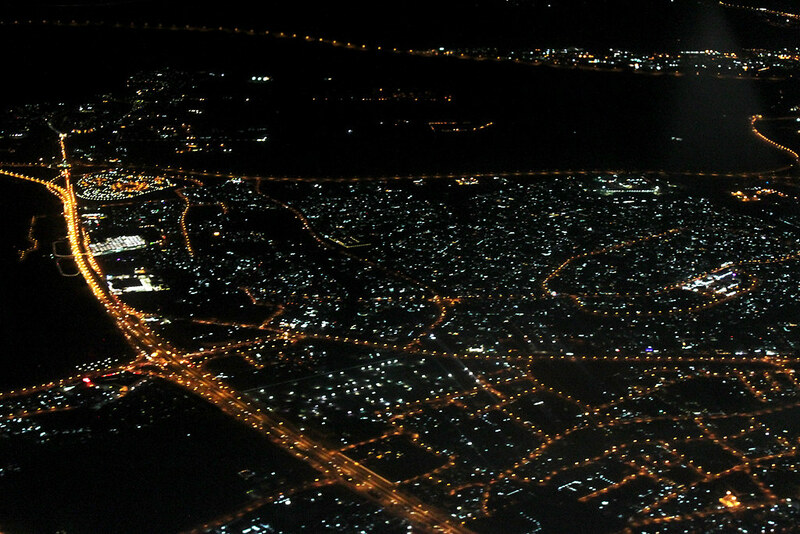 My view of Muscat from the sky. We walked outside and saw that the airport actually had its own mosque, adorned with the Arabic words masjid al-maTaar (mosque of the airport). Maggie, the girls, and I hopped into a cab and headed to our hotel, the Al-Qurum Resort. On the drive through Muscat, I saw what really just looked a lot like Florida, but with Arab architecture—highways and roads filled with nice cars, lights everywhere, tons of commercial activity and American restaurant chains, with some palm trees sprinkled in between. I realized that I had never really considered what the Omani economic modernization I’d heard about would actually look like—my mom’s seen pictures of Tel Aviv, Israel and said it looks exactly like Karachi, Pakistan, so it’s not like all major cities merge to a certain image. But the Muscat I saw really just reminded me of beach towns in Florida, but with Omani culture still prevalent on the streets and in people’s lives. Looking back, I think that Muscat was a good example of how economic modernization doesn’t necessarily erode local culture—a modern, lively city in the Arab world does not have to be like Dubai. 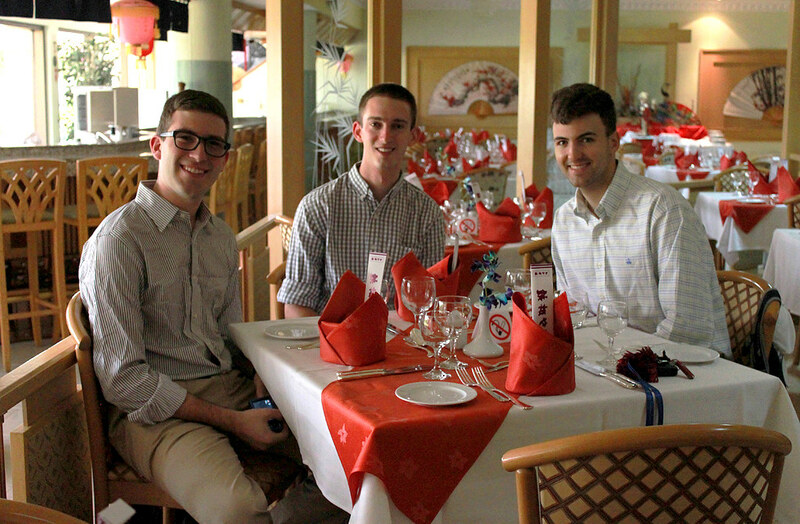 Jake M., Dillon, and Jake G. up early for breakfast at our hotel. Somehow I managed to avoid jet lag, so once we got to the hotel, I crashed immediately. A big day was ahead—visiting the Grand Mosque, meeting with various officials and scholars, going to the souq (market), etc.—so, quickly, I was confronted with the reality that I would not be blogging every night (or any night) during my trip. I still hate the delay and trying to consolidate everything months later, but ultimately I can now write each post with the benefit of hindsight, including the additional insights that came from discussing the trip with family and friends. And each day brought so much to soak in, so I’m glad I spent it doing exactly that—rather than writing away in my hotel room and being exhausted the next morning. So here it goes.